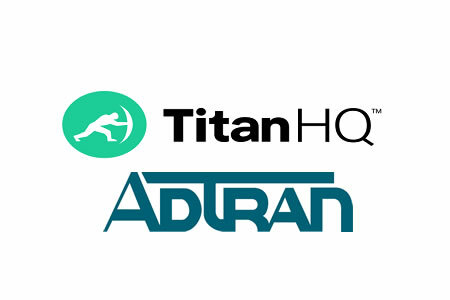 TitanHQ has announced a new partnership with ADTRAN, the leading global provider of communications and networking equipment. The partnership will see ADTRAN expand its ProCloud Subscription Services Suite to four new solution categories to better meet the needs of managed service providers (MSPs). The ProCloud Subscription Services Suite brings together industry-leading cloud-based solutions to allow MSPs to better meet the needs of their customers. The four solution categories that now comprise the suite of services are ProCloud Unified Communications, ProCloud Analytics, ProCloud Network Management and ProCloud Security. TitanHQ’s cloud-based web filtering solution – WebTitan – and cloud-based spam filtering solution – SpamTitan – have been added to the ProCloud Security solution. WebTitan allows organizations to carefully control the web content that can be accessed by employees while protecting organisations from a wide range of web-borne threats such as phishing websites and downloads of ransomware and malware. SpamTitan is a full-service email security solution that blocks spam email and intercepts and quarantines phishing, ransomware, and malware-laced emails. ADTRAN has partnered with BroadSoft for its ProCloud Unified Communications. The solution supports a range of business communication services such as instant messaging, video conferencing and group collaboration. The leading customer insights firm Purple provides the cloud-based analytics at the heart of the ProCloud Analytics solution, offering behavioral and demographic information of network users in real-time. These additional services join the ProCloud Network Management solution that had previously been included to the ProCloud Subscription Services Suite.